Dealing with family situations that need legal intervention is emotionally difficult. It is important to find an impartial advocate to help you navigate the legalities and who will look out for your best interest. Robert Vukanovich Attorney at Law has been representing the rights of individuals and their children for over 25 years. He has the experience and expertise, as a family law attorney in Vancouver, WA, to assist you in finding the best course of action and then diligently working toward that end. He is dedicated to a thorough representation of his clients and their needs. Child Custody – Robert Vukanovich understands the court’s desire for protecting the child’s best interest. He also protects your rights as a parent. Whether you need assistance drafting a custody agreement or you are working within a contentious custody case, Robert will negotiate for your rights and those of your children. Child Support – Washington courts determine child support based on both parents’ incomes as well as the needs of the child. Our family law attorney helps you work out an amount of support that benefits the child and is fair and practical for you. 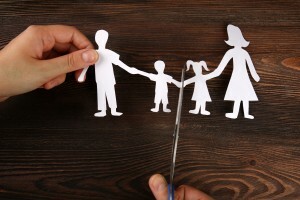 Legal Separation – As your family law attorney in Vancouver, WA, Robert will explain and guide you through the process of legal separation. These allow people to remain legally married while working on an agreement concerning property, debts, and child visitation. Modifications – A modification to any agreement that has already been approved through family court may not be allowed. There has to be a significant need for alteration before the courts consider a modification. Robert will review your circumstances and help identify opportunities for change. 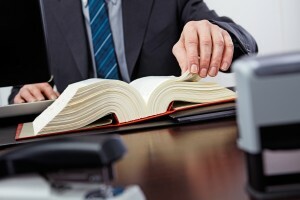 He will counsel you on how best to proceed and represent your case for modification, if applicable. Visitation and Parenting Plans – Parenting plans and visitation agreements affect both parties. A family law attorney helps you reach a decision that is favorable for both parties as well as the children. Co-parenting also is also a factor in many cases. Robert helps you come to a resolution that is fair, even when emotions are running high. Prenuptial Agreements – Prenuptial or postnuptial agreements most commonly determine asset division in the event of a divorce or death. Their benefits is in allowing two parties to mutually decide on an outcome to these events before they are complicated by emotions. Spousal Support – Spousal support payments should be reasonable for both parties. Courts take into account the length of the marriage, health and age, as well as the ability to earn income and support oneself. Robert helps you achieve a payment amount that is based on accurate information and allows you to maintain your quality of life. Contact us for your family law attorney in Vancouver, WA and get a free consultation.